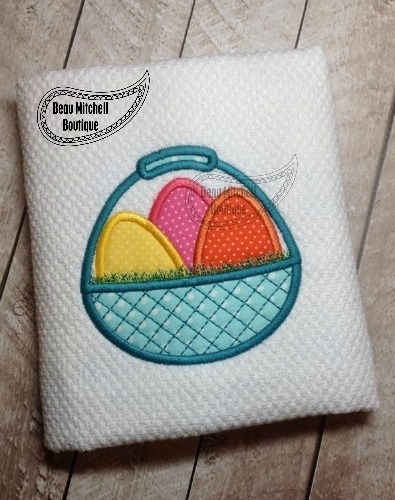 3 Egg Easter Basket Applique - 4 Sizes! 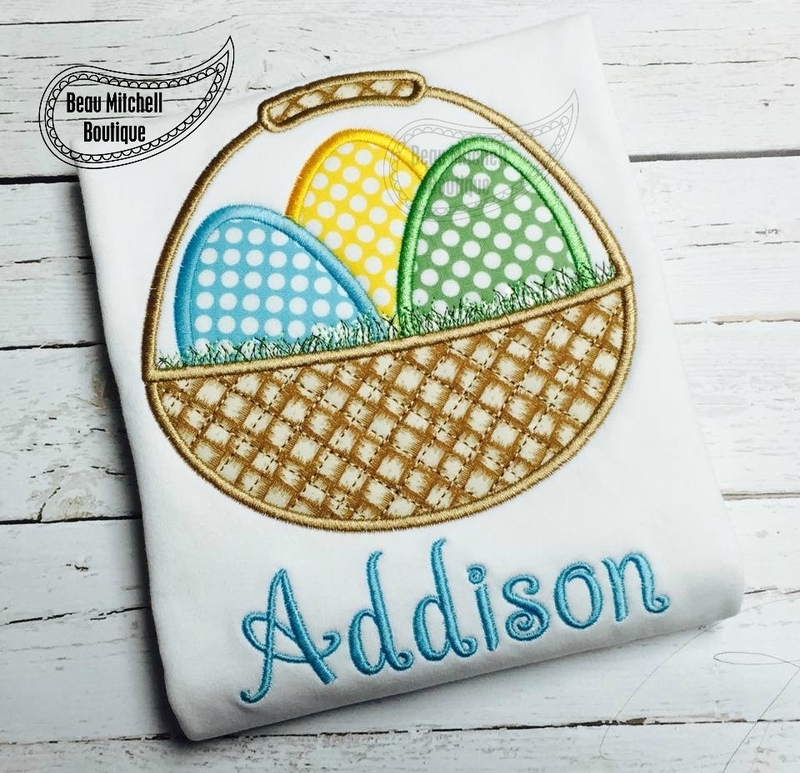 This is a 4 color applique embroidery design in four sizes. 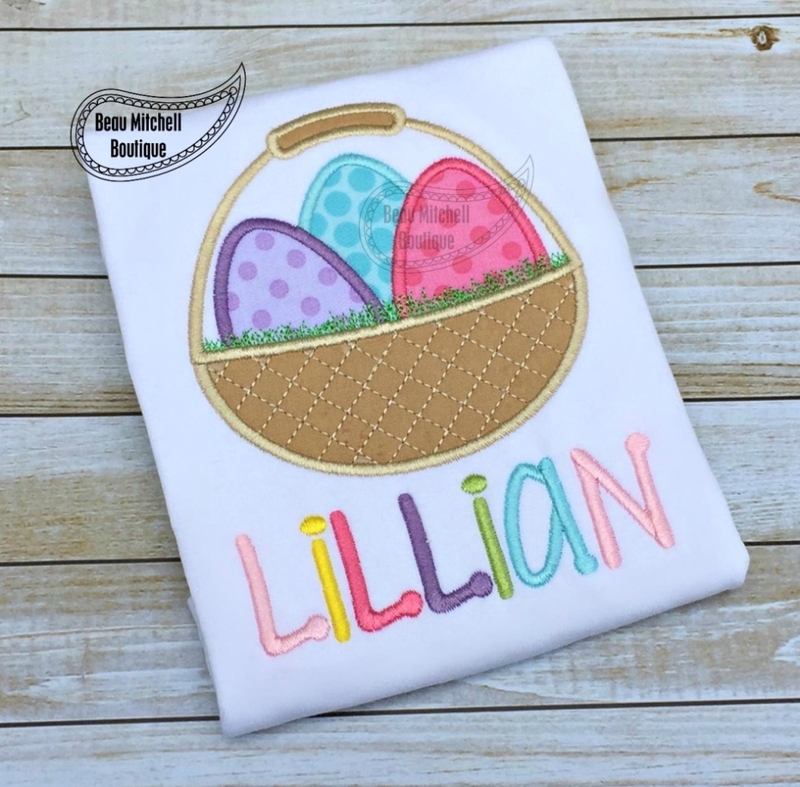 No alphabet is included with this design. 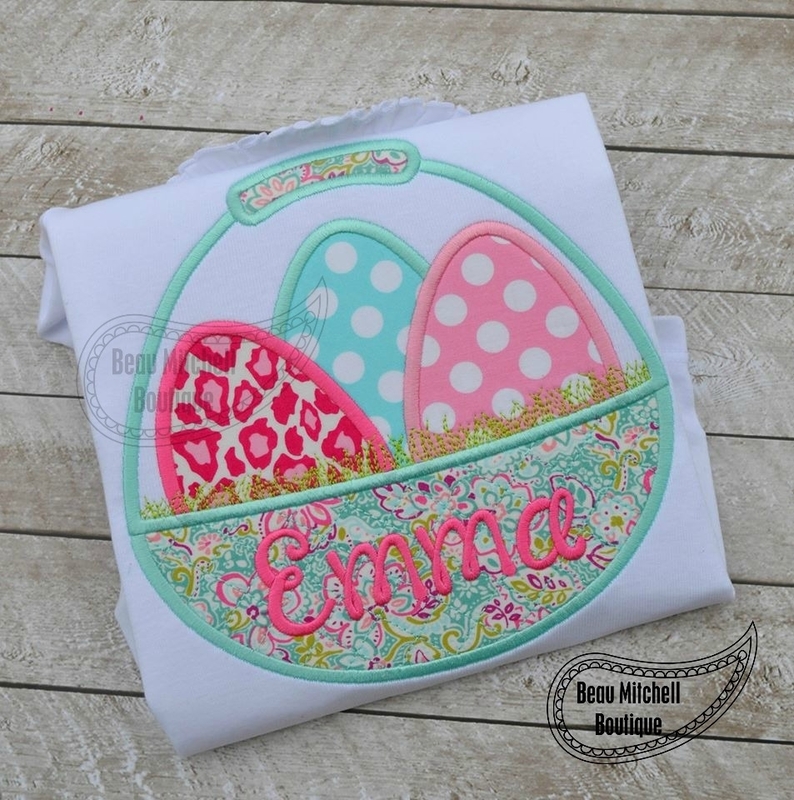 Easter Egg Chick Bowtie Applique - 3 Sizes! Finish Size 3.92" x 3.88"
Finish Size 4.93" x 4.88"
Finish Size 6.28" x 6.21"
Finish Size 7.89" x 7.80"